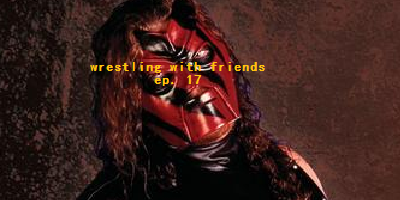 It's Wrestlemania Fallout on the newest installment of Wrestling With Friends. Fighting through tears at the loss of one of pro wrestling's greats, the Friends try their best to stick it out as they get ready for the Wrestling New Year. There's some hot topics to chat about coming from the world of wrestling, and the Friends are here to help trudge through it. After memorializing the late, great Ultimate Warrior, the Friends discuss some talking points like Lesnar breaking the Streak, Jeff Jarrett's new company and the always-exciting goings-on in the world of the Independents. Though the wrestling world is still processing Brock Lesnar being the one to break the Undertaker's vaunted Wrestlemania streak, the Friends are already on top of fantasy booking a bigger stud to handle the job in this week's Alternate Universe segment. Some interesting choices are proposed, while other surprising ones are left off. Did the Friends get it right? While you're still deciding that, be sure to listen to the end as The List keeps winding down, this week landing on #84!